 If you live in Layton or the surrounding area and need a trusted veterinarian to care for your pets – look no further. Dr. Scott Maxfield and Dr. Mark Fawcett are licensed UT veterinarians. Your pets’ health and wellbeing are very important to us, and we take every possible measure to give your animals the care they deserve. Layton Veterinary Hospital is a full-service animal hospital and welcomes both emergency treatment cases as well as pet patients in need of routine medical, surgical, and dental care. Dr. Scott Maxfield and Dr. Mark Fawcett have years of experience treating serious conditions and offering regular pet wellness care. Beyond first-rate pet care, we make our clinic comfortable, kid-friendly, and calm, so your pet can relax in the waiting room and look forward to meeting our Layton veterinarians. We are happy to offer a number of resources that enable you to learn about how to take better care of your pets. Please feel free to browse our site, particularly the informational articles. The best veterinary care for animals is ongoing nutrition and problem prevention, so becoming knowledgeable about preventative pet care is essential to the ongoing success of your animal’s health. If you have any questions, call (801) 773-2570 or email us and we'll promptly get back to you. Our Layton veterinarian office is very easy to get to -- just check out the map below! We also welcome you to subscribe to our newsletter, which is created especially for Layton pet owners. At Layton Veterinary Hospital, we treat your pets like the valued family members they are. I wanted to be a Veterinarian as long as I can remember. I attended B.Y.U for my undergraduate, Then Continued at Weber State. I went to Ross University and finished Vet School at Oklahoma State. Susan has been with Layton Vet since 2007, and has worked as a technician since 2004. Krista graduated from Broadview University in March of 2013 with her associate's degree in Animal Science. Marilyn has always had a deep-rooted love of animals. She grew up in Kansas City, Missouri, where she spent time volunteering in local shelters and walking dogs for elderly residents in her apartment complex. After moving to Phoenix, Arizona, she started a job working at a doggy daycare, where she helped care for dozens of dogs a day, and realized quickly that working with animals was where she belonged. Another move brought her to Layton, and she started at LVH soon after. Working in veterinary medicine has been the highlight of her employment history, and it is a field she plans on staying in throughout her life. Working for LVH has been the most rewarding job she's ever had.